The KAH Tequila Añejo bottle is designed with black and white motifs to represent the practices of Nicaraguans who take "rest in peace" to a whole new level. While they perform similar traditions to other Latin American counterparts (IE. decorate graves, bring food to alters to honor the dead), they also often sleep at the grave-sites of their deceased. The idea is that by sleeping with the dead, Nicaraguans reinforce the emotional connection they hold with those loved ones that have passed. 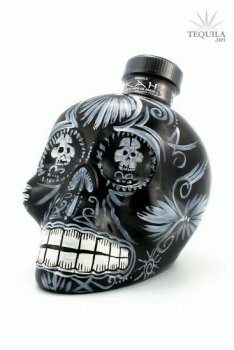 Unique packaging and juice, the entire brand is worth a look. A delightful nose of caramel, roasted nuts, and toasted agave, with fruity notes of light citrus and maybe some melon. Taste is a rich complexity of many things: agave, wood, earth, some vanilla/caramelliness. Incredibly balanced and impressively flavourful. This beautiful tequila comes through with a big-hearted finish which refuses to be rushed - caramel, toffee, earthy agave, and a medium spice - all of it giving way to a lasting after-finish of agave sweetness and lingering light tickly heat. 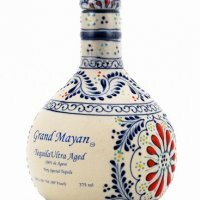 A wonderful anejo, complex enough for aficionados to appreciate, and accessible enough for novices who are looking to discover how tremendous a tequila can be without being knocked over by bold flavours and big heat. A pleasure to drink, and an absolute must for display on the bar. A good tequila and great presentation at a premium price. Aroma: Agave and vanilla come through nicely. Maybe a bit of fruit like banana or pear. Initial Taste: Nice agave sweetness with a fruity compliment. Body: Medium. The spicy notes come in and start to compliment the agave flavors. The mellowing of the wood makes it really smooth and a nice sipper. Finish: A nice spicy burn (not alcohol burn) that lingers for a long time on the tongue. A very nice finish to a very nice tequila. At $50-70 a bottle, it's pricey and there's more that I like that are priced lower, but you can't beat the KAH presentation. The tequila and bottle combo makes it worth the price. Light straw color. When swirled in snifter, a thick rim formed at the top of the swirl line, where fast, long-lasting legs appeared.My initial impression of the nose was bananas foster, a sweet bourbon/caramel with bananas, and a splash of Grand Marnier oranginess to boot. There was something just underneath that, some agave I think, and it made for interesting layers of smell. It is sweet, with definite hints of bourbon barrel aging (even though I can find no verification of this, the KAH site just says American Oak), but it's a real nice taste. The sweetness doesn't last long, and it gives way to something more earthy. Not much heat, just a touch, with a little alcohol burn on the back of the throat. I got something that reminded me of the fatty part of a grilled salmon fillet, which I don't know how to describe beyond saying that. I found it to be rich and a tiny bit smokey, I guess. Anyway, there is nothing at all to dislike about this anejo. Perfect nightcap sipper, as good as any cognac in its price range. On a side note, I tasted while having a fried egg, bacon, tomato and avocado sandwich. I found the two to pair quite well, between the creaminess of the egg yolk and avocado, the acid of the tomato and the smokiness of the bacon. I highly recommend it. Appearance: light gold with greenish highlights; small tears. An excellent and complex drink. You might keep a glass of water nearby to tame the heat. The presentation is pretty special. Excellent value. 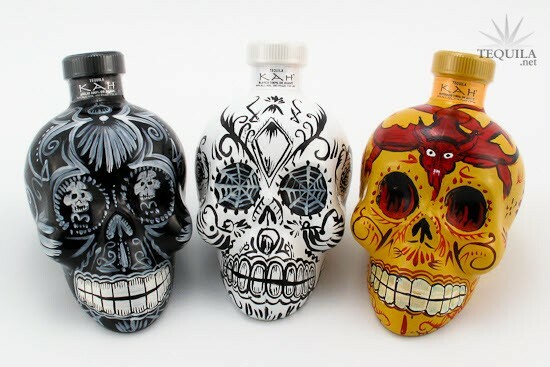 Amazing how good these artisanal tequilas are getting.